Take the stage at Universal Orlando® Resort and become the main attraction! UNIVERSAL STARS is the music performance program that puts your group in the heart of two incredible theme parks! If you're a marching band, concert band, dance team, choir, or other performance group then our universe is yours to perform in! If you're a marching group, you will entertain large crowds in our new Universal Studios® marching route. Walking not your thing? Dazzle the crowds from our newly covered Citywalk Plaza Stage. You can even become part of the holiday celebrations at Universal Studios as you perform at the Macy's Holiday ParadeTM alongside dazzling floats, festive street performers, and famous balloons direct from the Macy's Thanksgiving Day Parade®. 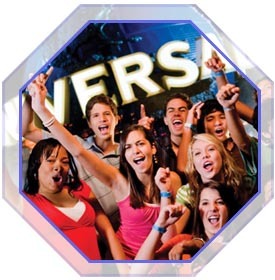 Universal Stars provides your performers with unparalleled thrills and excitement before, during and after their show. Types of groups eligible for Universal Orlando Stars Program. Bring your group any time of the year for an unforgettable experience. In the spring you can join the Mardi Gras celebration at Universal Studios® and perform in the pre-parade activities. In the winter, take part in the Macy's Holiday Parade™ and march through the studio streets. From the Plaza Stage in the Universal CityWalk® entertainment complex, non-marching groups entertain crowds of delighted Universal visitors. Whether you are a jazz band, show choir, concert choir, or orchestra, the cheers and applause of grateful guests will leave your performers with wonderful lifelong memories. All groups must have a minimum of 40 performers to participate. Smaller groups click here for Magic Music Days packages. Marching bands will perform a 2/3 mile march through Universal Studios. Bands must continue playing throughout the entire marching route. Stage performances will take place on the CityWalk Plaza Stage. If there special events happening at CityWalk, a substitute stage will be located Universal Studios. Stage performances will be allowed a 20-minute performance. Positive energetic musical selections are highly recommended. Step 1 - Complete the application and submit it with your audition tape to Universal Orlando. UO Star 2013-2014 Program App. Step 2 - Review the Performance Information including selection criteria, technical assistance & stage sizes. Step 3 - Select a package from below or customize your own with a Travel Planner. Two Day admission to Universal Studios Florida and Universal's Islands of Adventure. Park to Park access in the same day included. One evening at Downtown Disney, Universal City Walk or Old Town. Two Complimentary Director Packages based on the double occupancy rate. One Complimentary Chaperone Package for every fifteen (15) paid participants based on the double package rate. One (1) Complimentary Chaperone Package for every fifteen (15) paid participants based on the double package rate. PLEASE NOTE: Group packages and pricing are based on a minimum of ten paying participants sleeping 4-to-a-room. Attendance for All events is limited. Requests will be processed on a first-come, first-served basis. 1st Stop Group Travel Planners, Inc. will be your group travel planner and contact for Universal Orlando Stars Program. Reserve your group space today for Universal Orlando Stars Program 2012! Copyright © 2007-2013 by 1st Stop Group Travel Planners, Inc. - ALL RIGHTS RESERVED.